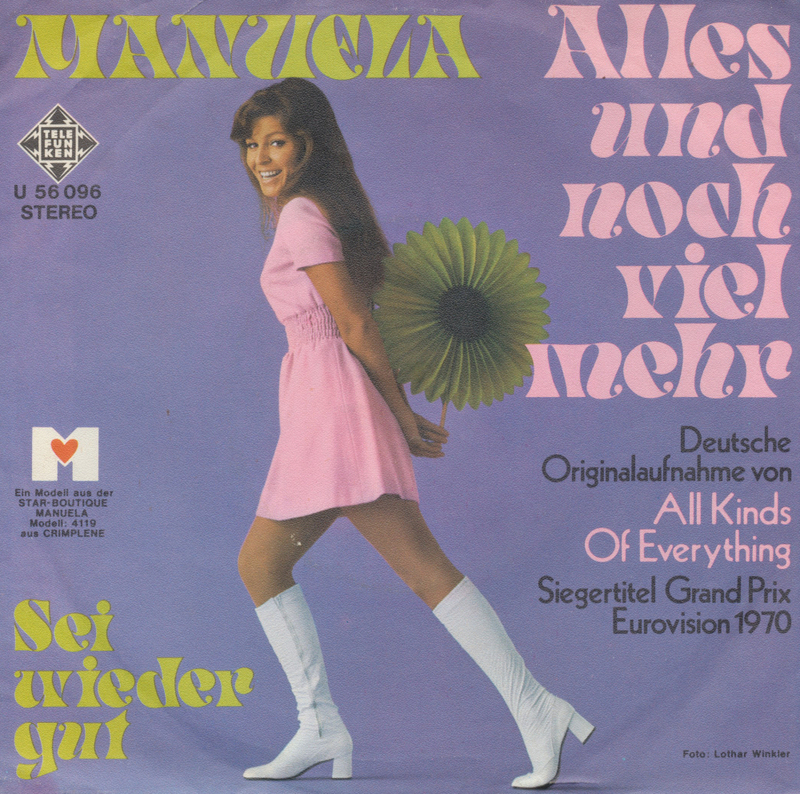 Another example of Manuela's practice of recording German versions of Eurovision songs is this single: 'Alles und noch viel mehr', a version of Dana's winning song for Ireland in the 1970 Contest. The single reached number 26 in the German singles chart. Manuela, born as Doris Inge Wegener, died on February 13, 2001. Ten years later, a road was named after her: the Manuelaweg in Berlin-Kladow. The popularity of the Eurovision Song Contest was perhaps even bigger in the Seventies than it is now. The winning songs were often big hits everywhere in Europe and even songs that didn't win made an impact. German singer Manuela made a career out of recording German-language versions of Eurovision songs. 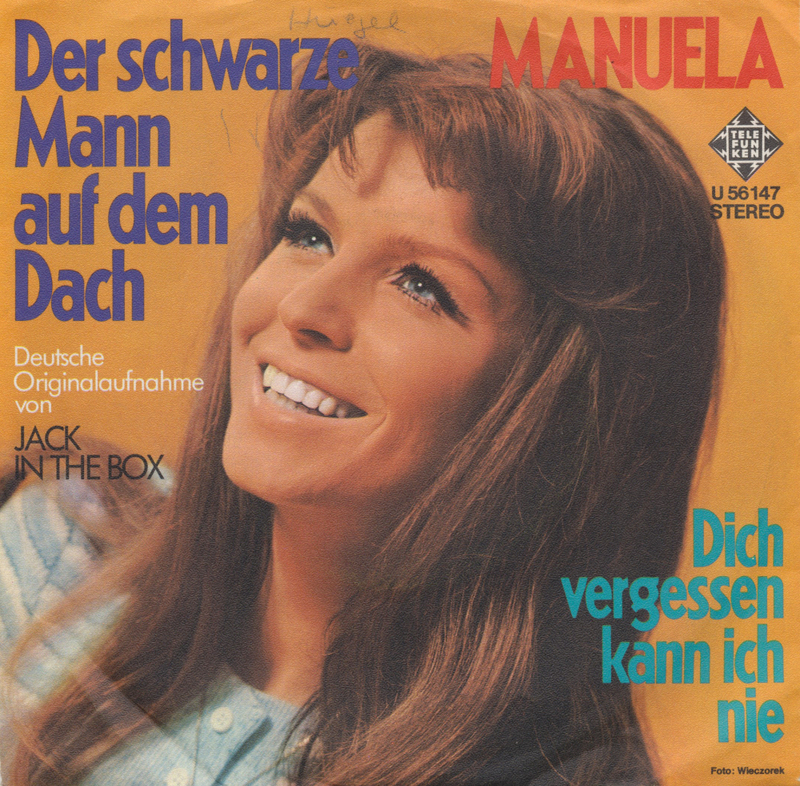 This single is an example: 'Der schwarze Mann auf dem Dach' is the German version of Clodagh Rodgers' 'Jack in the box', the 1971 Eurovision entry from the United Kingdom.